Fact is, I was not lying – you see, I think Jason King is a pretty damn cool role model when you are trying to make ends meet as a writer. For the uninitiated, Jason King was a character in a late 1960s British TV show, called Department S.
The idea – a special branch of the Interpol, based in Paris, tackling those cases that were too weird and unusual for plain old law enforcement to investigate and solve. Stuff like a guy being killed on board of a mock-up of the Concorde, or a deranged guy trapped in an elegant apartment built like a soundstage in a dockayrd, or a man suffocating inside an astronaut suit in a London street. Or that story about the fake fish full of cash and the dead scuba diver. The sort of crime that was pretty usual in the late ’60s/early ’70s, if we are to believe the TV series of that age. Department S is credited with being one of the inspirations of the X Files, it is certainly the first TV series to feature a data analyst as part of the investigation team, and it also premiered the idea later popularized in Castle: a writer working with the investigators, using the cases as inspiration for his books while providing an off-beat, creative angle on the mysteries being investigated. The writer in Department S was Jason King, flamboyant author of espionage thrillers. The character was indeed so popular he got his own spin-off series in 1970, called quite aptly Jason King – but the level of camp and irony had been turned up a little too much for my tastes. Granted, I watched it and loved it as a kid, but Department S was – to me at least – much better1. Jason King is also a strange beast indeed – a pulp character that is also a pulp writer. The show makes it clear that the King novels featuring international man of mystery Mark Caine are cheap – if excellently written – pulp entertainment. 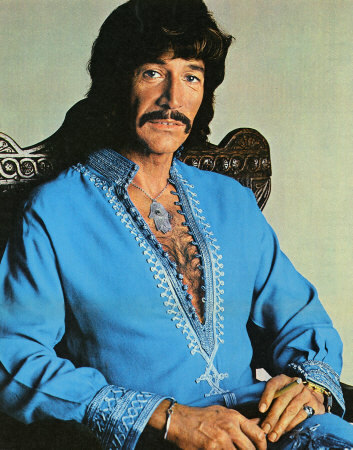 As portrayed by Peter Wyngarde, Jason King was indeed an excellent role model for an aspiring writer – rich, living the globetrotting jet set lifestyle surrounded by beautyful women, harassed by tax inspectors and despairing agents, solving weird crimes, making arch double-entendres and tongue-in-cheek innuendos, and yes, occasionally sitting at his typewriter to hammer out another bestseller. And I’ve been making the Jason King joke for quite a while, now – especially since I started noticing a rise in the number of somewhat childish (Stephen) King Cultists hereabouts. I’ve got nothing against Stephen King, mind you… it’s the fanatics that bore me to death. I am ready to admit, after first discovering King at an early age, my whole outlook on writing changed radically. After all, who would not want to be like Jason King? It’s rather sad, really, that so few get the joke nowadays.